We’ve taken the time to put together a list of commonly requested changes to invoice templates. For each template, you’ll find an image sample, a PDF sample, and a corresponding .txt file containing the code. Simply edit your invoice template in CosmoLex, switch to the Source Code view, select all the text, and copy/paste the code. Don’t know how to edit your invoice template? Learn here. The images on this article show the main changes that have been made for the custom template. There may be small changes not shown. 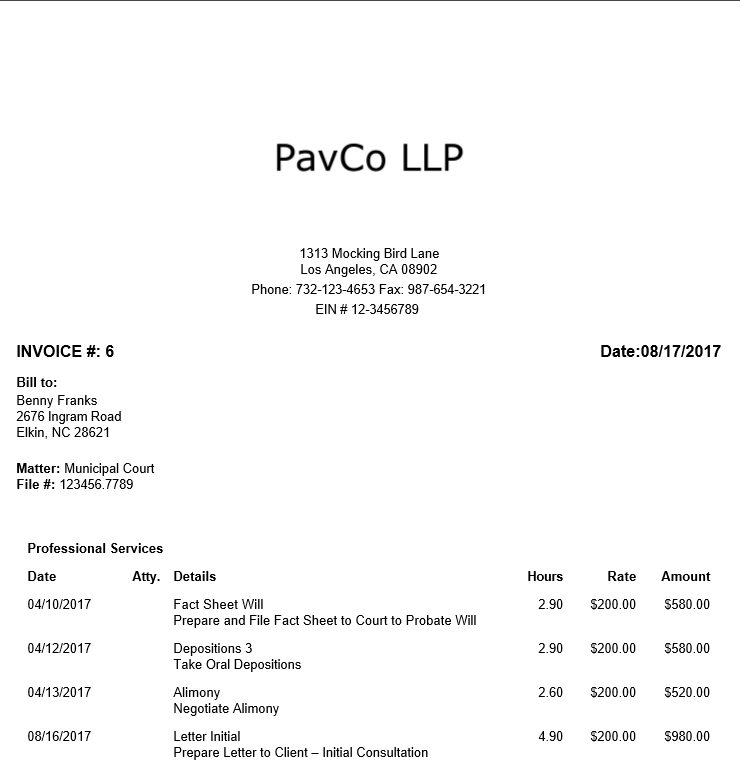 To see the full invoice template, click on the sample PDF file provided. Some templates may require that you change your firm’s name, address, phone, email address, or website within the source code itself. For Templates with Images or Logos, you will need to replace the image on the template with your own firm’s image or logo. This template includes additional information, like the Decription/Terms field on your invoice. This template allows for customization of colors.